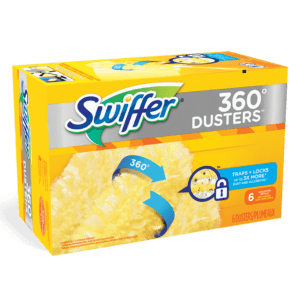 Swiffer Unscented Dry Dusters & Sweepers have become the first dry-dusting cleaners to be Certified asthma & allergy friendly® by the Asthma and Allergy Foundation of America (AAFA), for allergen removal and trapping. Manufactured by P&G, the Swiffer Sweeper is designed to trap and hold dust from a variety of floor types including wood, ceramic and linoleum. 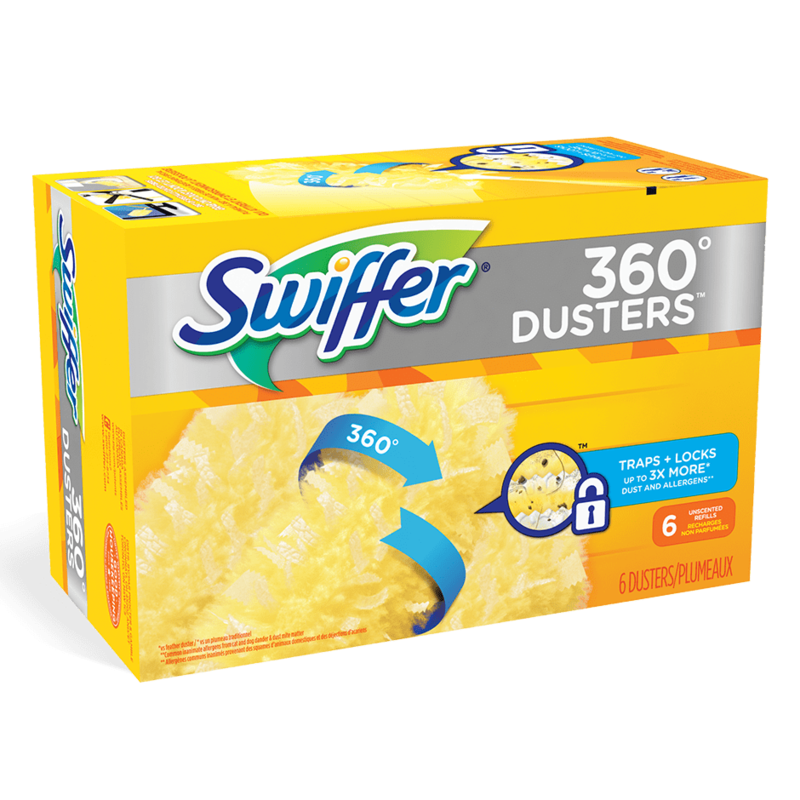 Swiffer Dusters are designed to pick up and trap dust using thousands of flexible fibres which are coated with Dust Lock Adhesive™. A series of studies were conducted in climate controlled testing chambers. Within these unique chambers, testing assessed the capacity of the products to remove allergens from a number of different surfaces while minimizing the amount of allergen being disturbed into the air. Analysis of the collected samples was carried out using highly sensitive ELISA to measure allergen concentration. The results showed that, as well as the products being able to meet asthma & allergy friendly® Certification criteria, they also outperformed generic dry and wet cloths tested under identical conditions. As a result of the testing the Swiffer Unscented Dry Dusters and Sweepers are the first products of their type to meet the asthma & allergy friendly®™ Certification Standard for Handheld Dusting Products and Wipes (ASP:09-03). 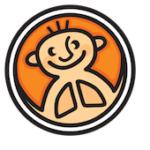 The standard has been developed by Allergy Standards Ltd, an International Standards and Certification body who founded and operate the asthma & allergy friendly® Certification program worldwide. 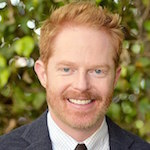 MODERN FAMILY’S JESSES TYLER FERGUSON HAS CLEANING SPRING-TERVENTION Jesse Tyler Ferguson joins Swiffer and Febreze to help people clean more effectively to reduce inanimate allergens in their home. DOWNLOAD OUR APP A comprehensive listing of all products that are certified asthma & allergy friendly®. 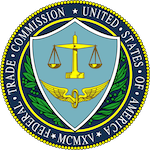 FTC CLEANING UP AD CLAIMS Science, studies, and statistics, when used accurately can be powerful tools for distinguishing your product from the competitors. But scientific claims — especially health-related ones — need solid proof. FDA – SOAP FAQS Here is information to help small-scale soap producers understand the laws and regulations they need to know about.